February 4th: Barefoot is Back! You may have remembered that I started barefoot running back when I trained for the Santa Clarita Half Marathon but unfortunately I wasn’t very successful in making it past about 6 miles in my training. My feet would rub up against the rubber during those longer runs, resulting in blisters every time I trained. So I transitioned into minimalist running shoes and completed both the Santa Clarita Half and Tinkerbell Half in my (New Balance) minimalist shoes. Seeing as I have less than 90 days till the race, its time to start training barefoot… So today was the first day in a long time that I ran 3 miles in my Vibrams and it felt great. Its not like I haven’t been wearing barefoot shoes all along… I actually wear the Adidas model to weight-lift about 4-5 days a week, just not for running. 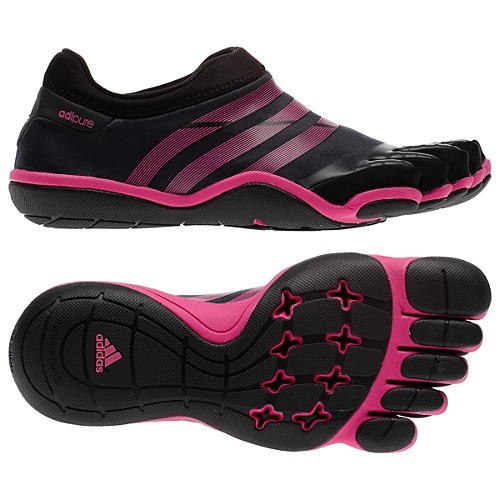 I prefer the Adidas model because I have short toes and I feel like this barefoot model is made for my foot vs. the Vibram which seems to fit better for those with longer toes. So far I’m feeling optimistic about running barefoot, after all the race is only 3.2 miles and I haven’t had any problems with running up to 4 miles. 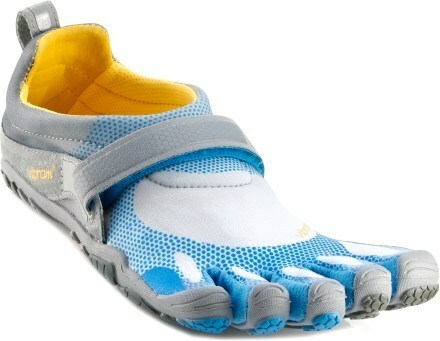 And maybe you are wondering why I’m wearing my Vibrams vs. my Adidas shoes for this event…. this is a MUD run! I imagine these shoes will get thrashed in this race and I’d rather throw these away at the end of the day, if necessary, over my Adidas shoes. If anyone of you are interested in participating please sign up as soon as possible, it looks like the the more friends the better this event will be (check out the video link on the Merrell logo)…. Only 2-months to go!